Maker of fine writing instruments, although for 49 years I worked as a Dental (Ceramist)Technician. I specialized in the art and science of making beautiful smiles. I have now retired from dentistry and have much more time to devote to pen making. I’ve been accused of being an artist in the past, but I have resisted the moniker by explaining that I am a craftsman, one that copies and maybe improves things. Art, I would explain, “Art is the creation of an object from nothing”. Because of my background, pen making came easy to me from the beginning. 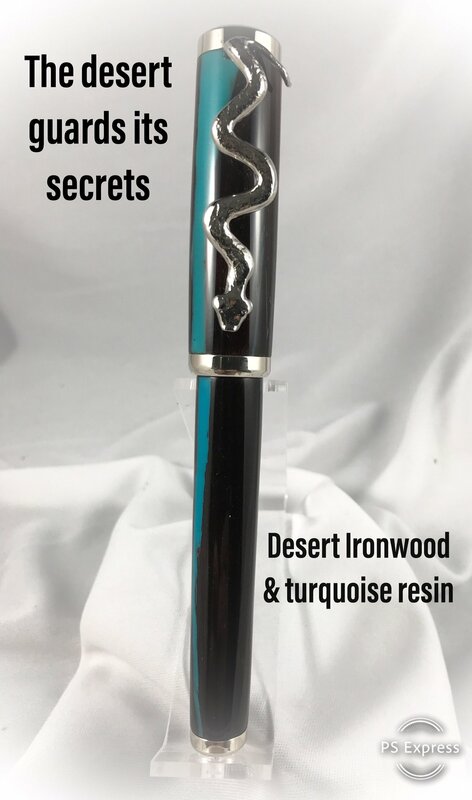 I grew over the years in technique and precision to the point that my work was described by a well-known woodturning guru, “as the perfect kit pens”! I was complimented of course, but somewhat uneasy. That comment started me on a path of experimentation and creativity. I now know that my work is indeed my art, my way of seeing things. 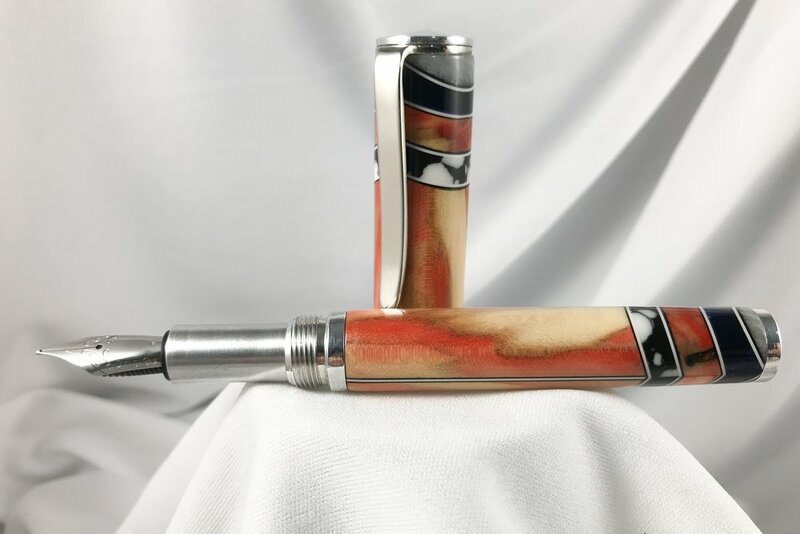 I continue to make pens from pre-ordered components, but even now I often go my own way with a particular design and finish. I now am known internationally through the internet…for the quality of my custom, one of a kind creation’s. I would love to build one for you!